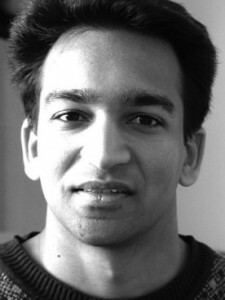 Cleveland based composer Aryavarta Kumar (Arya) writes music for independent films, TV, commercials, radio, computer games, and other media. He started writing for film in 2002 and has expanded both his study and his passion for music since that time. Arya also plays live performance improvisations for events and has performed at weddings, festivals, and venues such as PlayHouse Square in downtown Cleveland. Arya began his musical training with classical piano lessons at age 9 in Kuwait. He continued these formal classical piano lessons for 13 years. Unfortunately Arya became a refugee at age 11 for a little while after the Iraqi invasion in 1990. The place he called home had turned into a warzone complete with landmines, M16 guns, and destruction. He moved with his family to England and eventually settled there for 9 months. The entire experience was life changing and changed his perspective of the world. Arya continued his study of piano with a British piano teacher in Sutton Coldfield. In 1991, Arya and his family moved to the United States and found a new home in Villanova, a small town close to Philadelphia. He continued piano lessons and performed at several venues including a Moonlight Sonata performance at the Academy of Music in Philadelphia. During the next ten years, Arya explored different types of music. An experience with Retron, a rock/jazz band, got Arya to think about writing music in catchy but simple chord progressions. Retron had the opportunity to perform at local talent shows, parties, battle of the bands, all the while recording their original songs. Stasis, a progressive metal band, was a totally different experience. With two keyboards, two guitars, a bass, and drums producing driving melodies and rhythms, was a fun experience that honed Arya’s skills at writing and improvising minor-scaled and dissonant band music. Xenophobia was an independent high school music project to which Arya contributed. He primarily played tabla and expanded his knowledge of world music and world music rhythms. The move from high school to college however, cut short the success of Retron and Stasis, as band members enrolled in different undergraduate programs across the country. On a trip to India, he started learning the sitar and tabla and continues practicing those Hindustani instruments. The different modes and rhythms of playing non-Western music have helped redefine how Arya perceives and writes musical pieces. At Villanova University, where Arya earned his Bachelors in Science (Honors), he decided to pursue chemistry as a major with a focus in biochemistry; He also was able to obtain a physics minor. Before he graduated he co-founded a web-based company focusing on delivering news and resources related to nanotechnology: NanoApex. More recently this company has merged into the #1 Small Technology Resource Online Nanotechnology.com. In college, Arya also began to explore western orchestral scoring and from this grew his desire to score film and media. Arya moved to Cleveland to pursue both MD and PhD degrees from Case Western Reserve University. The thinking involved in science and art he says are sometimes totally different, but having different perspectives on each stimulates creativity. At Case Western, he also played in a studio band called Uninhibited in which they recorded three songs for a demo. Arya has also joined the Icho-Daiko drum group performing Taiko (Japanese drums) at various events around northeastern Ohio. Arya’s current thesis project involves designing molecules that self-assemble and would eventually reduce patient complications such as blood clots in biomedical devices such as vascular grafts and artificial heart valves. He currently has several abstracts published and presented at regional, national, and international conferences and has 3 published manuscripts; He is available to contact regarding his scientific work. In 2005, Arya scored A Joker’s Card, a project which has won him acclaim from the independent film community. Following the premiere, A Joker’s Card won a Silver Telly (the Emmy or Oscar for independent films) for Best Entertainment; Arya was awarded a 2005 Silver Telly Award for his musical score contribution. With the growing popularity of his music, he has established himself as Cleveland’s most in-demand composer for independent films. Arya went on to score several different shorts and features (see credits) providing diverse music ranging from orchestral to a guitar driven heavier sound. His success has allowed him to help out with music supervisor jobs as well as he connects local indie music groups with filmmakers looking for specific band music. He looks forward to pursuing his art in writing passionate and dramatic music for films, computer games, TV, and othe new media.